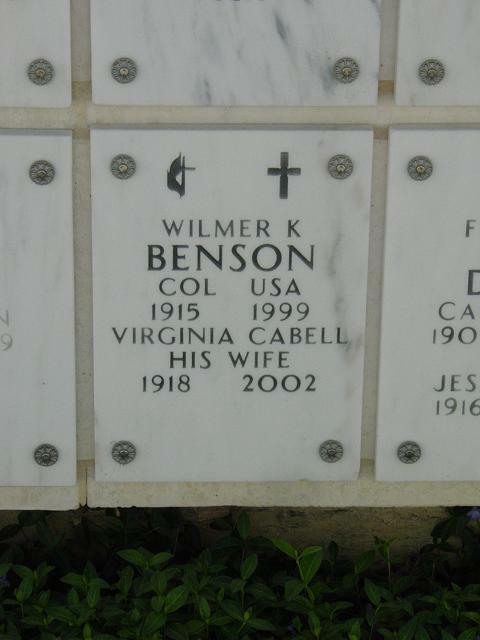 Born the son of Wilmer Kersey Benson, Sr and Lillian Fisher Benson, and raised in Wyoming, Delaware, he was an Eagle Scout and Class Valedictorian for his high school,Caesar Rodney Class of 1932. He entered the University of Delaware, where he graduated as Class Valedictorian in 1937, majoring in Mechanical Engineering. Entering the United States Army in June 1938, he was assigned to the 11th Engineer Brigade (Heavy Pontoon) at Corozal, Panama Canal Zone. There he met and married Virginia Cabell, daughter of Lieutenant Colonel Derosey Carroll Cabell and Edith Morgan Cabell. They were married 13 May 1939, at the Cathederal of St. Luke, Ancon, Canal Zone. During World War II, he commanded the 1554th Engineer Battalion (Heavy Pontoon) in North Africa and Italy. Other overseas tours included Korea (1957-58) and Panama (1961-64). 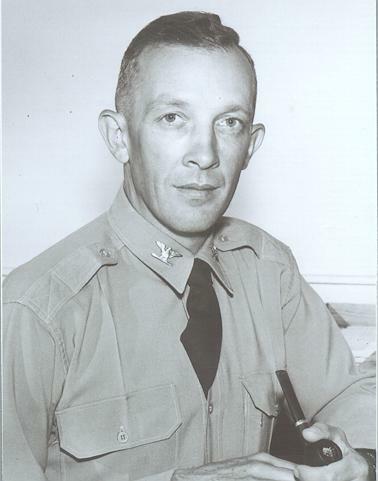 He received the Legion of Merit, Army Commendation Medal (with Oak Leaf Cluster), National Defense Service Medal (with Oak Leaf Cluster), American Defense Service Medal (with Foreign Service Clasp), American Campaign Medal, European Middle East and African Campaign Medal with 3 campaign stars, and the World War II Victory Medal. He served from June 1938 to June 1968. After his retirement from the U.S. Army, he worked for the Atomic Energy Commission, and later the Department of Energy, retiring again in 1979. In 1979, he established his own business, doing income tax returns for the elderly, which he finally sold in 1998, as his health began to fail. He died of chronic heart failure. Burial: Arlington National Cemetery Columnbarium, Court 5, Row 31, G.